I’m posting a recipe, can you believe it? Actually, if you’ve been here long then you’ve read about a recipe or two. Possibly 3 or 4 if you count drink recipes. But, not many for sure. One of the things that I want to do this year with the blog is incorporate a bit more of our life. We like good food and good drinks. We like to travel. We like to live… I’m sure like everyone else. I’m not losing the focus of this DIY blog, but I’m allowing myself to branch out to other things. 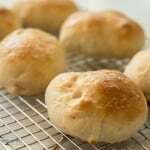 So, I’m sharing a top-secret recipe today for the BEST HOMEMADE NO KNEAD YEAST ROLLS that you will ever have. Seriously, they are that good. Here’s the backstory. My grandma is like the best country-cooking cook you will ever meet. Seriously, Paula Deen ain’t got nothin’ on her. =) Growing up for many years, we always did a family dinner after church on Sundays. It wasn’t just a roast-in-the-oven-type dinner. It was two meats, two pies, fresh rolls (oh, the fresh rolls), multiple sides and amazing green beans. Yep, I was a bit chunky back then. Can you blame me? Well, fast forward many years and we no longer do the family dinners on Sundays. My grandma still hosts a special birthday meal for each member of the family where that family member gets to set the whole menu. The menu still consists of everything homemade and it’s still just as delicious as I remember it being when I was growing up. The family has expanded. People have gotten married. There are some great grandkids now. So, we try to all contribute to help out. Let’s just say that our family dinners aren’t really family dinners if they don’t have the most sacred part – the homemade rolls. Seriously, they are just killer. 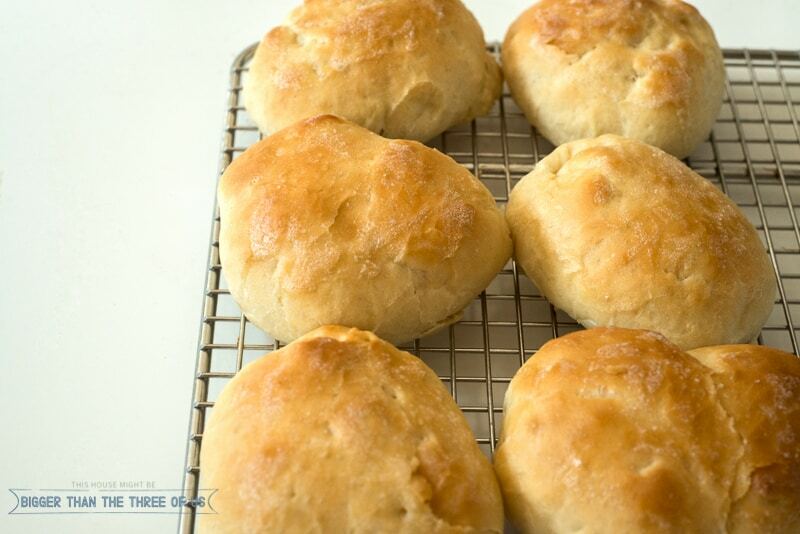 Years ago, my grandma gave me the recipe for these Homemade No Knead Yeast Rolls and I made them a few times. They weren’t exactly like my Grandma’s when I made them until just recently. She thinks there’s nothing to them. But, she’s made them for years so it’s habit; like brushing teeth to her. To me, it was hard to figure out if the dough was a bit dry or if I let them rise long enough. But, finally, I got it and, with her permission, I’m sharing the recipe with you all today. The recipe isn’t hard and it’s no knead! I hope you enjoy it just as much as I have. I’ll be back on Monday with all the details on the kitchen cabinets and drawers, including prices and what we DIY’d versus hired out. 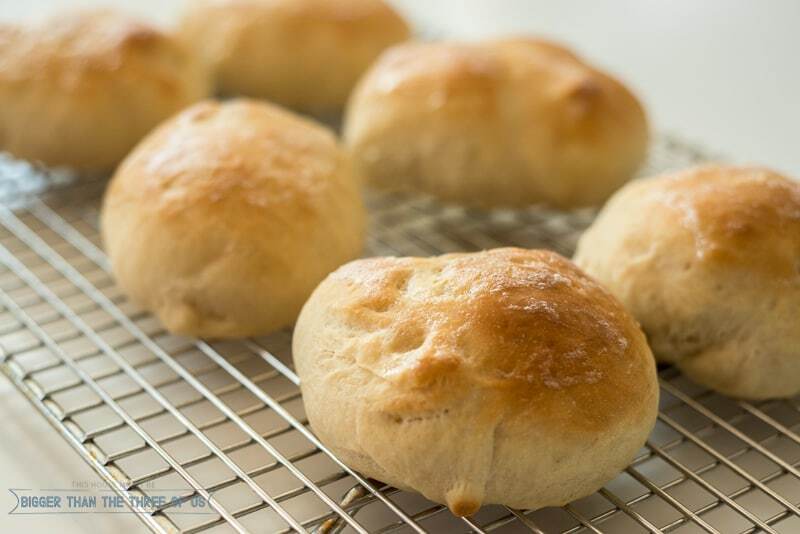 Look no further for an amazing homemade dinner roll recipe. This one is a no-knead yeast roll that will knock your socks off. 1. Beat egg with a fork. 2. Mix ingredients with a mixer in this order: water, yeast, sugar, salt, oil, eggs and 1/2 the flour. Continue adding the flour until it is all incorporated. 3. Put a bit of Crisco on your hands and form the dough into a large ball. Wipe Crisco around a mixing bowl and set the dough in the mixing bowl. Cover and let rise until it has doubled in size. (In the summer, this might take 40 min. In the winter, it might take an hour and a half.) 4. Once the dough has doubled, make individuals balls with your hands. Place on a greased baking sheet or pan. This recipe will make 24 large rolls. 5. Cover the dough balls a second time and let them rise until they have doubled in size. Bake at 375 degrees for 14-16 min or until lightly brown (I like mine very lightly colored). 6. Immediately after taking them out of the oven, take a stick of salted butter and butter the tops. *You can half the recipe for 12 rolls. Half all the ingredients except the egg.